Size : 20.1 x 21.1 mm. Weight : 2.75 grams. 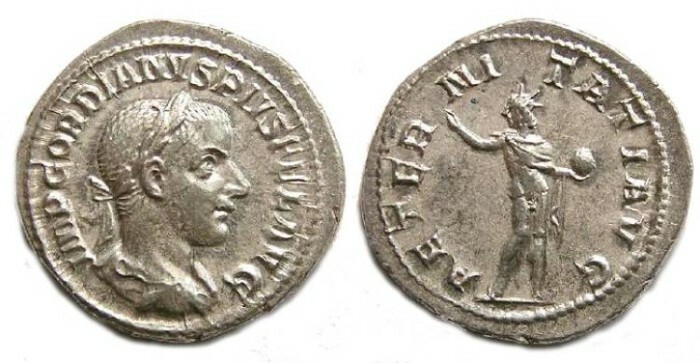 Obverse : Head of Gordian right, with IMP GORDIANVS PIVS FEL AVG around. Reverse : Sol standing forward with head left, holding a globe behind him, and raising his other hand, with AETERNITATI AVG around.